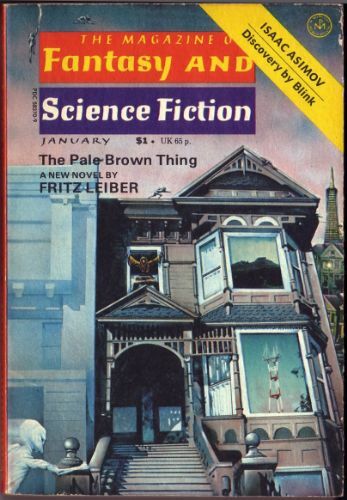 First published as Pale Brown Thing a 2 part serial in Fantasy & Science Fiction (issues 1,2/77). 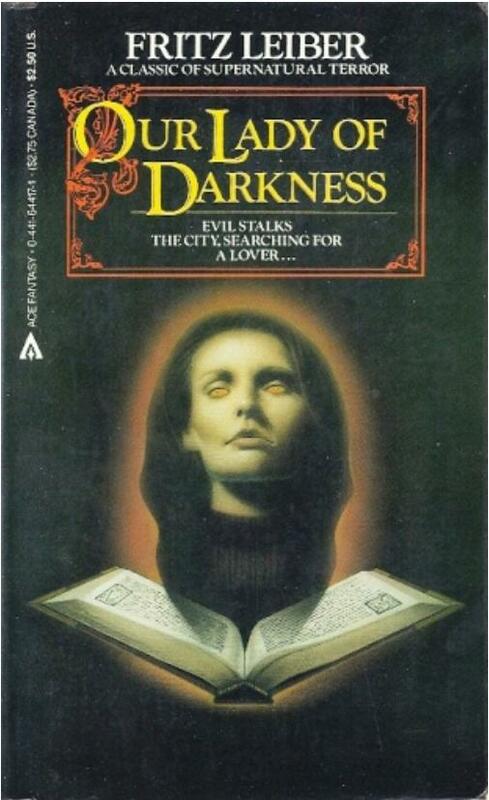 Our Lady of Darkness was his last novel, and undoubtedly one of his very best (in my humble opinion)….A must! 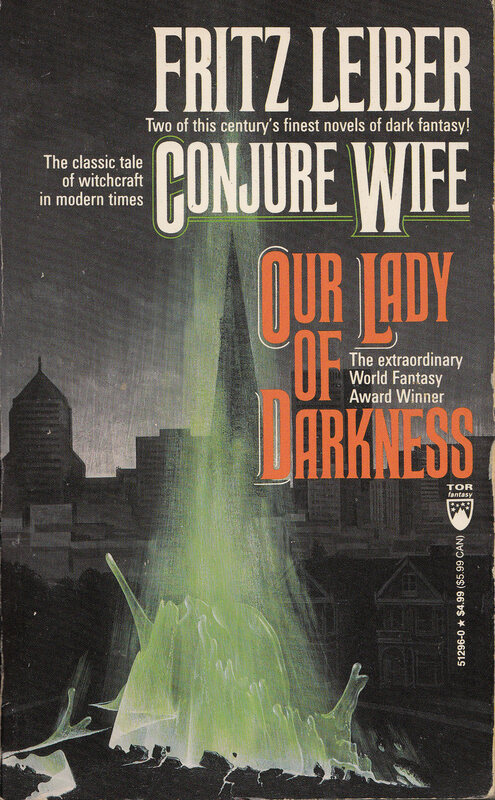 In fact it’s currently available (in the States) as a TOR double with Conjure Wife, definitely a ‘recommended’ purchase..
Our Lady of Darkness, reviewed by David Pringle. There have been countless tales of haunted houses – old buildings, ranging from medieval castles to twentieth-century hotels, plagued by ghosts, spirits, poltergeists, what-have-you. 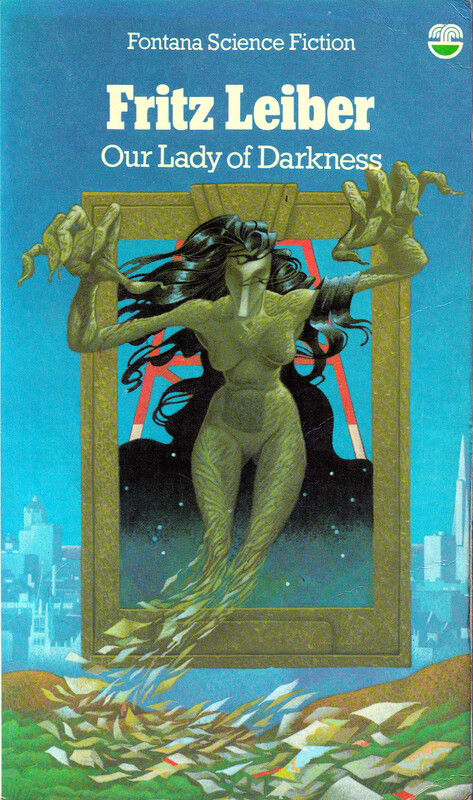 In Leiber’s ingenious variation on the theme, the ghostly beings are known as “paramental entities”, and it is not just one building but a whole city (present-day San Francisco) which is haunted by them. Moreover, in a clever and elegant switch on our expectations, this book’s hero is able to tell that his own home is haunted only when he views it through binoculars from a distance of two miles. It is a chilling moment, and things develop spookily from there. Franz discovers that his apartment building was once a hotel, where lived an eccentric scholar of the supernatural named Thibaut de Castries. He already owns a rare book by de Castries, entitled Megapolisomancy: A New Science of Cities. He now reads this apparently crack-brained work of pseudo-science with renewed interest, and it begins to make a strange kind of sense. De Castries believed that modern cities, with their vast quantities of steel, concrete, oil, paper and electrical energy were breeding grounds for so-called paramental entities – which is to say, ghosts befitting a technological era. It would seem that a supernatural line of power runs between Corona Heights and the apartment block (which was once a hotel where de Castries himself resided): Franz Westen is being haunted by a paramental. 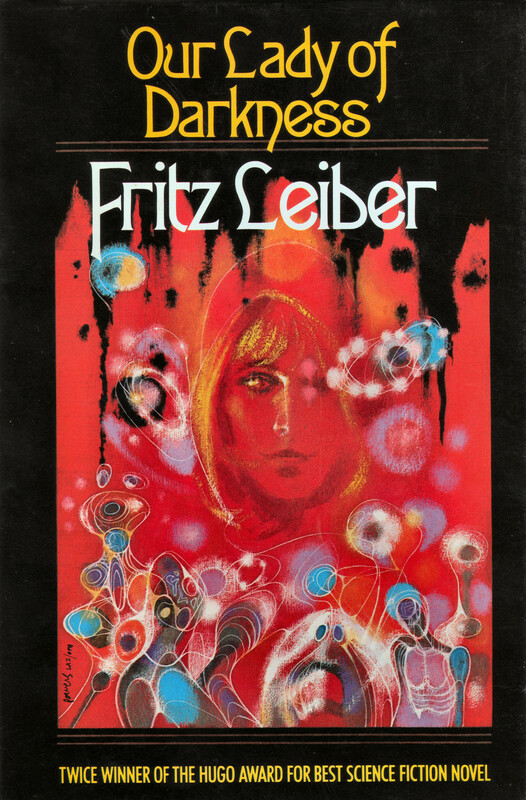 The novel contains a great deal of talk – but it is fascinating talk, for most of Leiber’s people are a pleasure to meet. Despite a lack of action in the middle passages, the climax of the story is truly frightening. 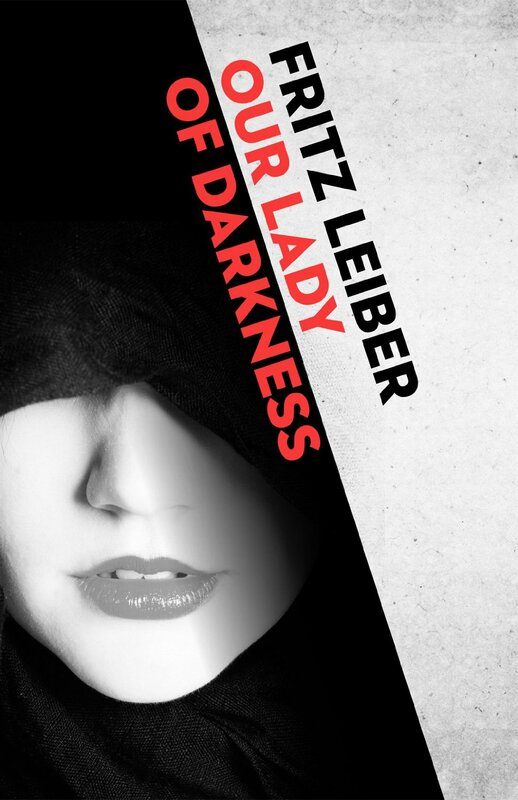 The bookish Franz encounters a nightmarish “Lady of Darkness” who draws her sustenance from raw materials which are very dear to his heart. At the end, he comes close to the point of dissolution, but survives. 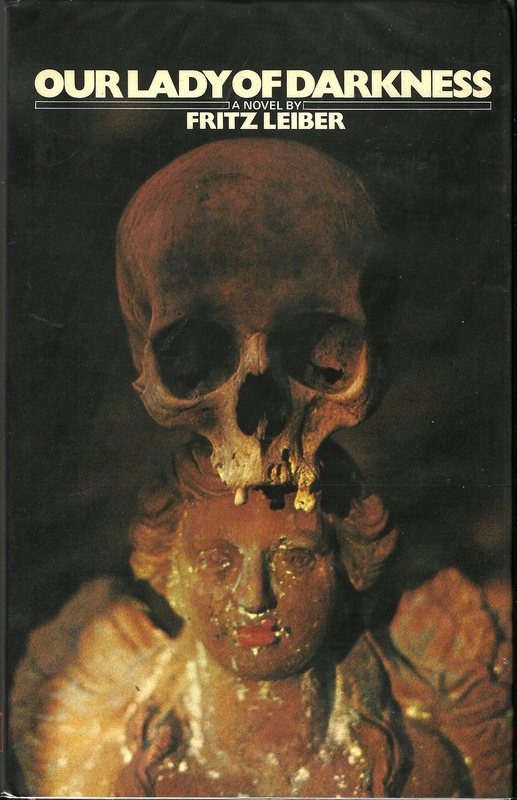 Our Lady of Darkness is a first-class supernatural horror story, written with all the relaxed ease of an old master. It is plainly an autobiographical fantasy, one which speaks of real suffering, but it also has a mellow quality.